Ren has a bigger “Death Star” and he has a MUCH bigger personal vessel. He is still very immature, so much so that when The Force Awakens opens, he is just as concerned that things are perceived as intimidating and powerful, as he is concerned about real power. And he is too busy throwing tantrums to notice that the force is strong with Rey, or to realize the treat she poses. Vader, on the other hand (Limb-OH! pun alert), has as we know, learned that fits of anger cloud one’s judgment, and make one quickly lose control of a situation (or one’s life!). He knows the dangers of confronting someone unknown who is strong with the force (Luke, in Vader’s case) – yet he also knows that no-one but him stand a chance against Luke. 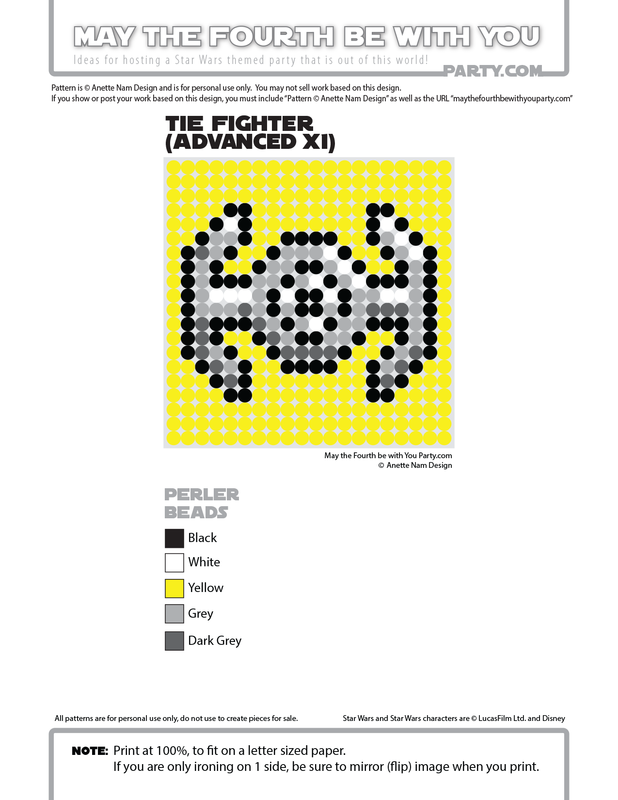 He is prepared, has small ship ready, and is ready for a dogfight at a moment’s notice. Kylo, well, Kylo doesn’t have a clue yet. Thinking ahead and planning is not his strong suit. However, I am sure he will be ready by the time VIII comes around. 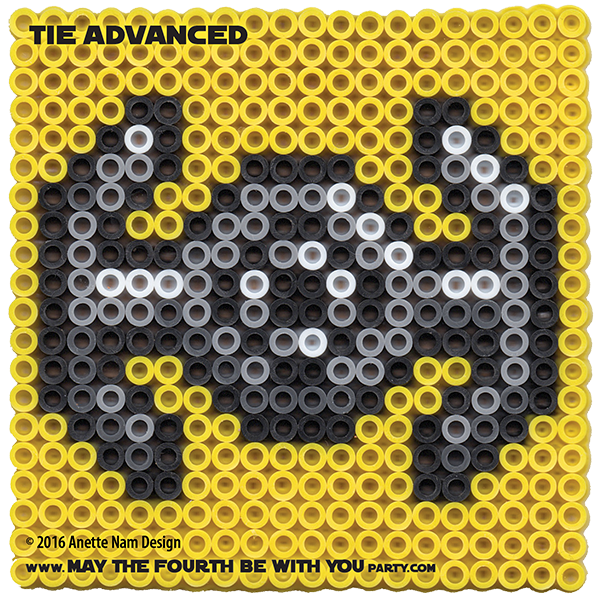 Until then, here is Vader’s TIE Advanced, #55 in the Perler bead/cross stitch/crochet/knitting/Lego/pixel/mosaic pattern series. Love it! I am making bb 8 cookies for May the 4th be with you! I was wondering if I could link to your blog so my viewers have more ideas for May 4th. Is that ok? Absolutely! If you want, feel free to use the photo of your favorite post (from URL, not download and re-upload, and make sure all the copyright info still shows), and then link the text to your page pf choice. Please mention the name of our blog, and have the name link to our home page, and then add anything you want to write about it/us. THANKS SO MUCH FOR ASKING FIRST!!!! !